These beyond the basics sessions include step by step hands on instruction on how to handle some of the most common retouching jobs in portraiture. The projects have been selected specifically to give you practice using a variety of techniques and the files are cropped to isolate the particular session topics. Included on the disc are a set of Jane’s Retouching brushes plus her layered psd files for your reference and visual guides in Photoshop. 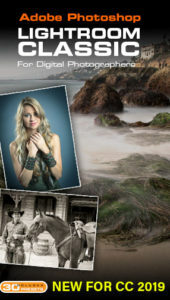 Jane Conner-Ziser is a photographer, digital artist, premier educator and independent consultant. With over 25 years of experience, 19 of them in digital imaging and evolving technologies, the techniques Jane developed for facial retouching and enhancement and portrait painting are widely emulated by photographers and digital artists worldwide through her classes and educational products. She was named as one of Canon’s Explorers of Light in their PrintMaster program, is an Adobe Photoshop Expert, a Corel Painter Master and a Craftsman Photographer of the Professional Photographers of America. In addition, she is past co-chair for the Digital and Advanced Imaging Committee for the Professional Photographers of America. Considered to be one of the most versatile artists in the industry, Jane’s engaging style, impressive knowledge of her field and her easy and entertaining way of presenting challenging material make her one of the most significant educators in the industry today.